Plans are in process to offer this is in Port-au-Prince, Haiti. Please email if interested. Master yourself and awaken your potential! 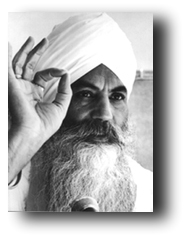 This program is open to yoga students ready to become teachers and those who wish to immerse themselves in the science of Kundalini Yoga, as taught by Yogi Bhajan. The course focuses on foundations and awakening, and gives you a lifelong foundation for a successful yoga practice and provides the tools and comprehensive training to learn both the theory and techniques. You will gain the knowledge and self-confidence to make a difference in yourself and the world around you. You'll study and practice yoga while still being able to maintain your work schedule and activities. and other possible guest trainers and teachers. Krishna Kaur, E-RYT, MSS, is an experienced and inspiring yoga and meditation teacher and community leader. 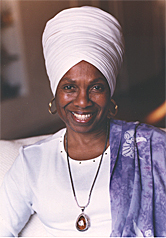 She is the African Training Coordinator for Kundalini Research Institute. She studied at the feet of her master teacher Yogi Bhajan for over 35 years. She brings a passionate devotion to teaching. She is founder of Y.O.G.A for Youth, and founder/president of the International Association of Black Yoga Teachers (IABYT). She is from Los Angeles, California, but for travels regularly to teach, with special focus on Ghana and Togo in West Africa, where she offers Kundalini Yoga trainings. This program includes Membership in the 3HO International Kundalini Yoga Teachers Association (IKYTA). This program also meets the standards for the 200-Hour Yoga Teacher Certification set by the Yoga Alliance. The training program includes Associate Membership in the 3HO International Kundalini Yoga Teachers Association (IKYTA). You will automatically be upgraded to Full Professional Membership once you have completed the Teacher Training course and receive your Kundalini Research Institute (KRI) Level 1 Certificate. This program also meets the standards for the 200-Hour Yoga Teacher Certification set by the Yoga Alliance, a national alliance of diverse yoga organizations. KRI Certification is led by KRI Teacher Trainers who will help you fine tune your growth and gain a sense of excellence as a Teacher of Kundalini Yoga.